Each cheese comes with two sides and bread. We revolve our dishes around the amazing Pecorino Romano cheese wheel, imported once a month, fresh from Sardinia, Italy. Other cheeses such as our much loved Buffalo Mozzarella also make an appearance on the menu as well as pasta's, prosciutto, salads and dessert. Come in and let our friendly staff guide you through a dining experience that we have lived with our whole lives. We take reservations for all group sizes on Tuesday's with Wednesday to Saturday only groups of 7 or more at either 6pm or 8:45pm. All group sizes of 7 or more will be required to go on a $55 Set Menu with a 2hr seating. 10% surcharge applied to groups of 8 or more. 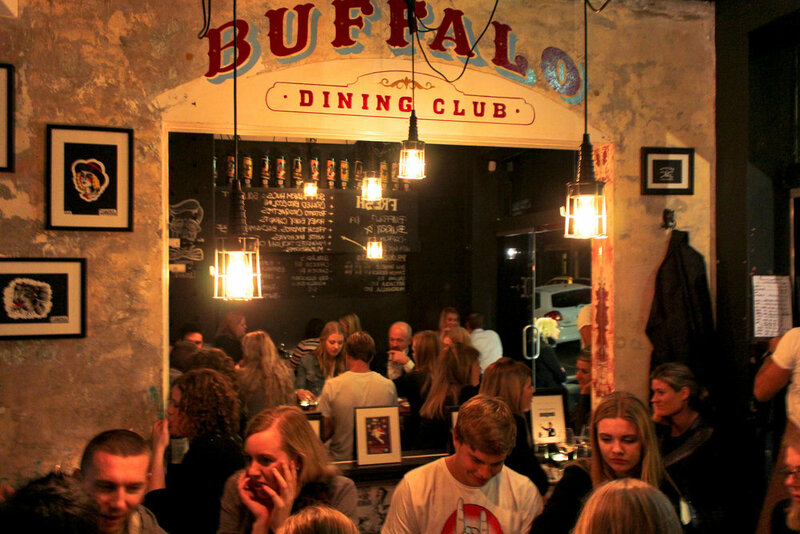 Buffalo Dining Club is open for lunch Wednesday-Saturday from 12pm onwards and we accept bookings of any size. We take all size bookings on the last Sunday of every month. BUFFALO WILL BE OPEN FOR LUNCH AND DINNER. BOOKINGS AVAILABLE FOR ANY GROUP SIZE.